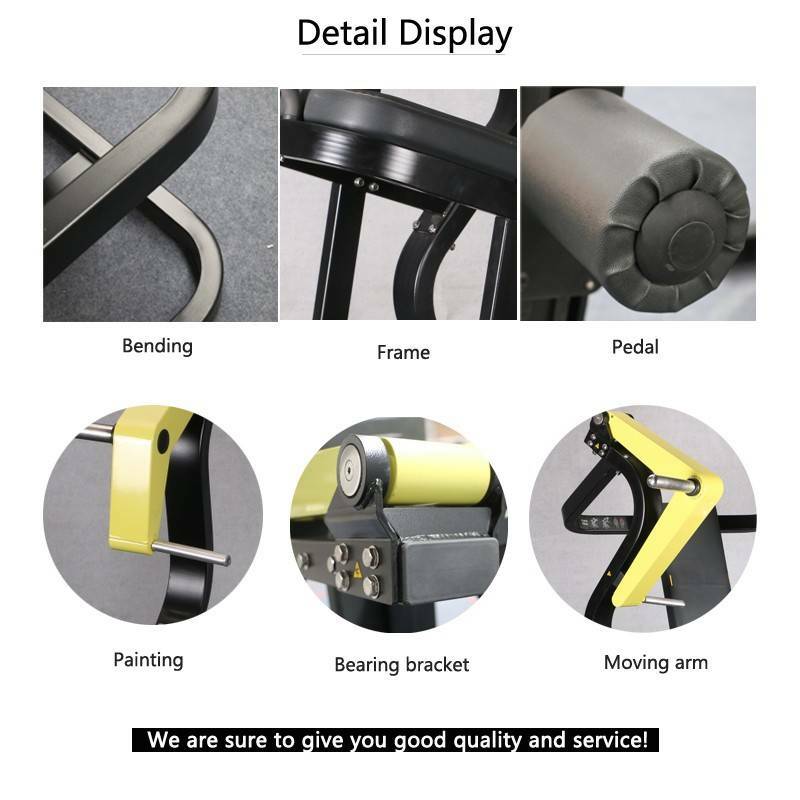 Top level professional gym machine Pure Strength Technogym Standing Leg Curl Machine, China Factory Hammer Strength Standing Leg Curl Machine gym machine. An all our designs are according to human exercise physiology principle designed for complete accord with human body muscle. As we all know, quality is the best point for a gym. We use our honesty to get a high reputation and long terms customers. Standing leg curl machine for sale, Standing Leg Curl replicates the same muscle pattern of leg curls and is ideal to activate the hamstrings in an ergonomic position. Commercial Gym Equipment Plate Loaded Gym Machines .